To get started on your home improvement, roofing or custom home remodeling project call us at 443-449-5273. BLC Construction Enterprises, Inc. has over 15 years of experience serving the residential and commercial construction needs of the residents of the state of Maryland. We pride ourselves on our personalized and professional service. Our attention to detail and outstanding customer service is what separates us from our competition. From roofing and gutters, to siding and everything in between, we’ve got your roofing needs covered. We are with you every step of the project to ensure that you’re fully satisfied. We fully stand behind our work and pride ourselves on your overall satisfaction. Regardless of the size and scope of your project, we are more than happy to visit with you and offer a free estimate. Call us today at 443-449-5273 or click here for a free estimate. We wanted to renovate our old kitchen. After getting several bids we decided on BLC Construction. They helped up plan and design our new kitchen and did a wonderful job. All of their employees were courteous and made sure to clean up every day to limit the dust in the rest of our home. They completed the job quickly and we are very happy with the results. We would recommend BLC to our friends and neighbors. We wanted a new deck on our home so we could enjoy the outdoors. BLC designed and built our new deck and we are thrilled! Thanks BLC for your great work! BLC Construction installed a new roof and gutters on our home. They did a great job. They were professional and cleaned-up everything. We are very happy we decided to get our new roof from BLC. I was compelled to write this letter and express how very pleased I am with the quality of service your company provides. Rob was great, and his staff was courteous and pleasant. Cyndy, the Office Manager, was one of the reasons I decided to have Cox do the work. I sincerely appreciate your responsiveness and the way you conduct business. Your staff was both prompt and courteous and completed our project as planned. I will recommend your company to others because of my great satisfaction with your service. I look forward to doing business with you for years to come. Your patience and diligence in working with us was most appreciated. Your team of workers, and our new roofing materials, arrived on time as promised and they planned accordingly with weather conditions so that the job was completed as expected. We were very pleased with all of your workers, their workmanship, and willingness to accommodate our needs. The site was cleaned of debris, our landscaping was protected by drop cloths, and your team left us with a beautiful roof replacement. Cyndy Lindsay, the Office Manager, was very professional, helpful and has excellent customer service skills. It is with sincere words that we highly recommend your company and their staff for anyone who is in need of new roofing. After we realized we had a leaky roof, we called BLC and they had it fixed in no time. Anyone looking for roofing in Baltimore should look at BLC. We will definitely use them for our next home improvement/repair. Cox Roofing, an affiliate of BLC Construction, now has an A+ Rating with the Better Business Bureau! They have determined that we meet their strict accreditation standards. The standards of BBB Accreditation mean that we will: Build Trust, Advertise Honestly, Tell the Truth, Be Transparent, Honor Promises, Be Responsive, Safeguard Privacy, and Embody Integrity. Our customers know that when they choose us they are choosing a company they can trust. Click here to see our BBB Business Review. Cox Roofing, an affiliate of BLC Construction, is now a Top Baltimore Roofing Contractor on Porch. Porch only chooses pre-screened professionals that meet their highest standards, so homeowners can feel confident in who they choose. We pride ourselves in being honest, responsive and providing our customers with outstanding work – and now Porch does too! Click here to see our work on Porch. BLC Construction is recognized as a ShingleMaster and therefore can offer the CertainTeed SureStart PLUS 3-Star and 4-Star coverage warranty extensions. 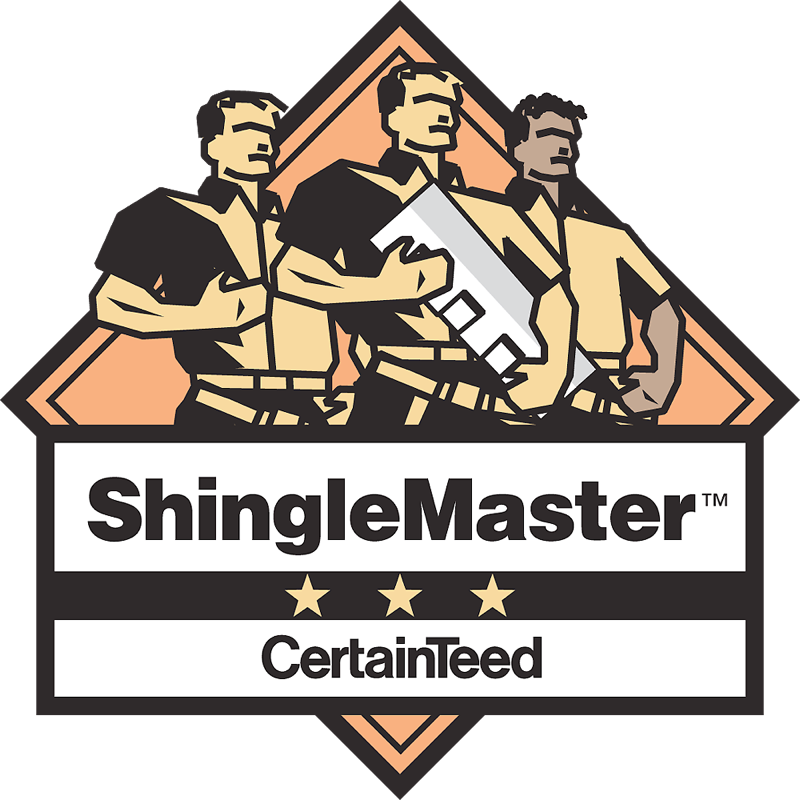 We have achieved ShingleMaster status, our staff has the qualifications of a Master Shingle Applicator and we meet the requirements and recommendations for the installation of CertainTeed’s high-quality shingle roof system. BLC Construction recently partnered with ABC News and donated a new roof to the Children’s Home in Catonsville, Maryland. BLC Construction diligently worked to protect the exterior of the home and the old cedar shake, shingle roof was replaced with a beautiful upgrade that included an ice and water shield. Ally Building Products generously donated the shingles. Watch the video to the right, or click here to visit our YouTube page. BLC Construction Enterprises, Inc. has over 15-years-experience serving the residential and commercial roofing needs in the the greater Baltimore metropolitan area. BLC Construction gutter installation uses seamless aluminum gutters, which have been proven to be the most durable and reliable available. When choosing the type of siding you are going to install on your home, you have many options. Here is some information on the types of siding that BLC Construction offers. Are you remodeling your kitchen or bathroom in your Baltimore home or business? BLC Construction will take your kitchen and bathroom to the next level. BLC Construction Enterprises, Inc. has over 30-years-experience serving the residential and commercial roofing needs of the residents of the state of Maryland. Tired of climbing ladders to clean your gutters? Here is why you need Leafguard. The GAF lifetime roofing system!